A great set of snowshoes for the winter enthusiast, the Garneau Nordik 1 Snowshoes are our lightest shoe for day hiking and trail walking. 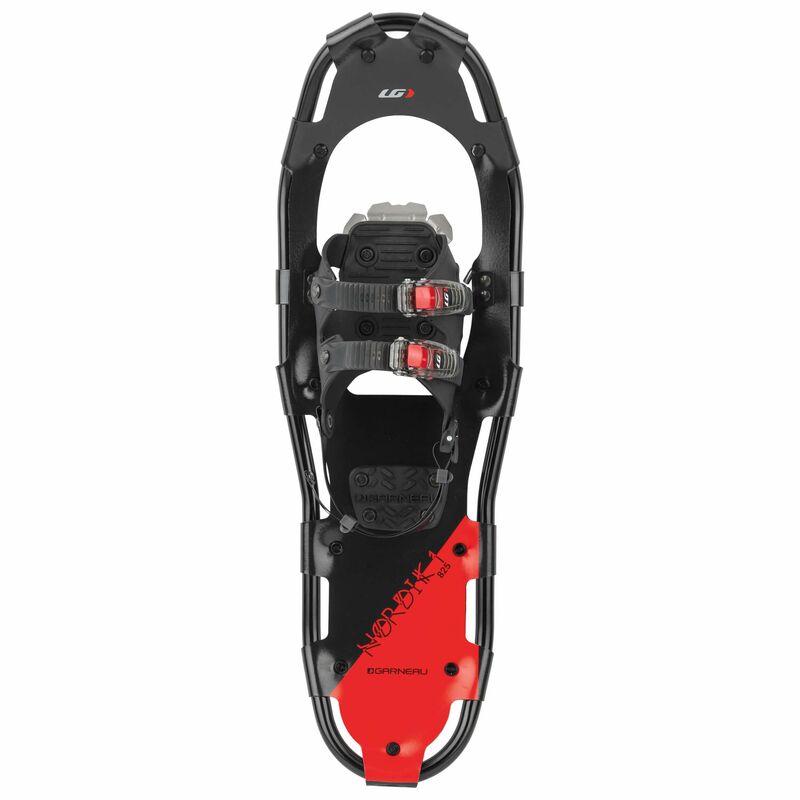 A great set of snowshoes for the winter enthusiast, the Garneau Nordik 1 Snowshoes are our lightest shoe for day hiking and trail walking. Made with a 6061-T6 aluminum frame, the Nordik 1's are lightweight and durable! The Contract Trad harness system goes on securely with the Slipnot heel strap and ratchet closures, and provides a supple yet robust suspension system for all-day walking comfort. 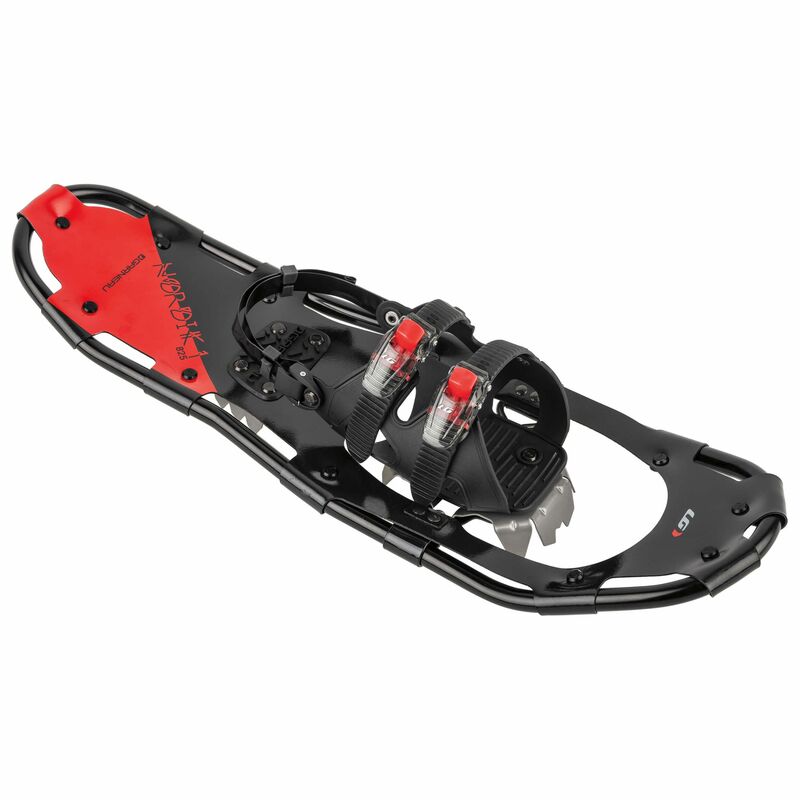 The durable polymer decking sheds snow easily and Crux crampons provide easy grip and snag-free operation. 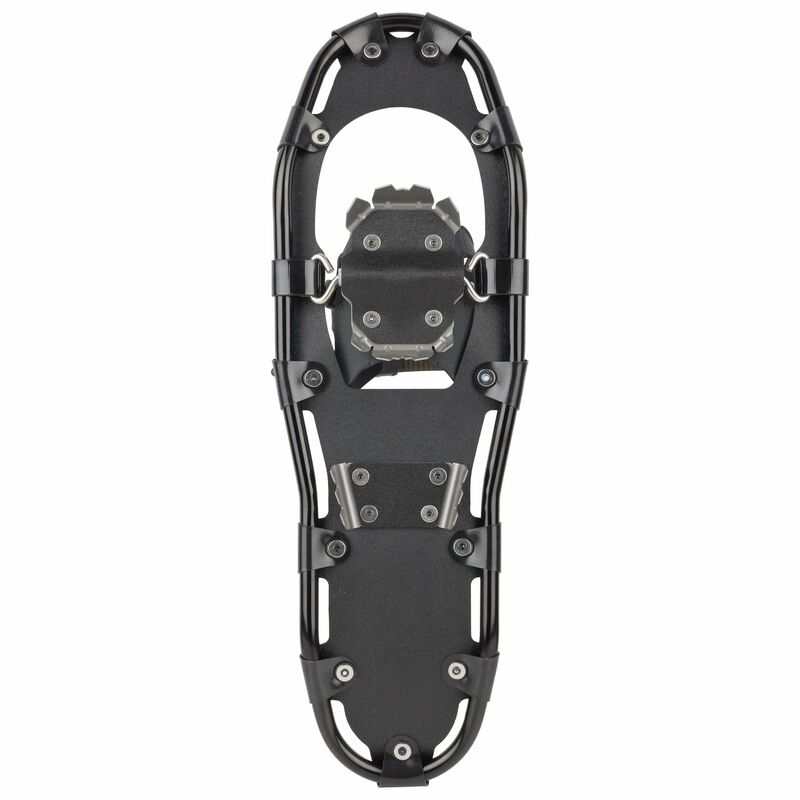 Snowshoes Frame: 6061-T6 frame, small rugged diameter for lightweight design. Closure System: Fasteners with ratchet buckle system: Light, practical and simple adjustment, New Slipnot quick cinch heel strap and friction buckle. Glove-tested at -45° Celsius. Decking: Snowfree surface: Excellent snow shedding from deck., Wrap-around decking for light, no-snag performance; built for speed. Ergonomics: Streamlined shape and a generous tail profile with toe upsweep make for easy walking in trails and layered powder on snow crust.